The Center for Design Research at the University of Kansas has partnered with Lenexa-based Pulse Design Group on a new program to teach virtual reality in design and construction. Lawrence, Kan. — Architecture and Industrial design students will learn to reimagine design and guide future clients through virtual buildings, or create unique products and services, in a new educational program at the University of Kansas. The Center for Design Research at KU has partnered with Pulse Design Group, a healthcare architecture firm located in Lenexa, Kansas, to develop a virtual reality (VR) laboratory and curricula. The new program launching this fall will transform the way our students visualize concepts and share design ideas in a whole new way. “Through the generosity of Pulse, CDR students will now be enabled to expand their creativity in visualizing and application of areas previously unavailable. Pulse has created the catalyst to establish a virtual program that will advance the education of our students in an emerging technology with unlimited industry application,” said Gregory Thomas, professor of design at KU’s School of Architecture, Design and Planning, and director of the Center for Design Research. 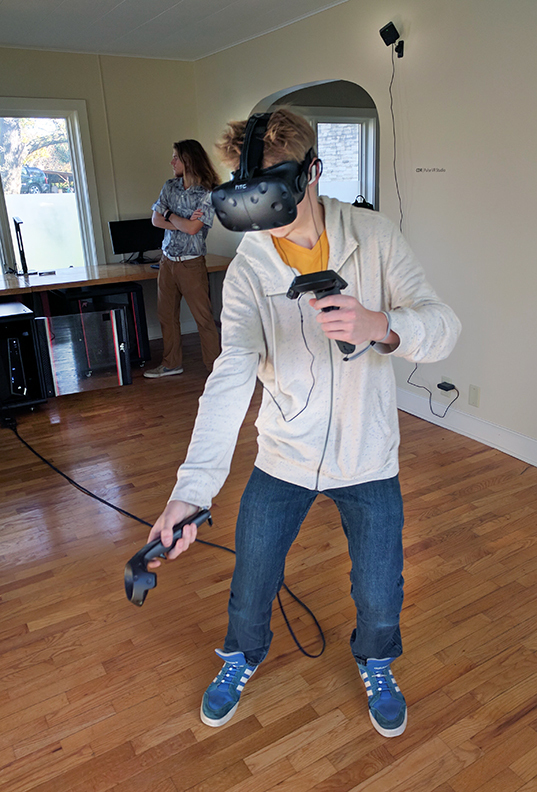 The VR program effort is led by Paola Sanguinetti, KU associate professor of architecture and Thomas, along with support from Callum Vierthaler, a KU graduate student and intern architect at Pulse Design Group. The virtual reality industry is expected to grow at an extremely rapid rate in coming years. Revenues from virtual reality software alone are forecasted to increase more than 3,000 percent in the next four years. Worldwide there are currently 43 million active users and that number is anticipated to increase to nearly 171 million active users by 2018. This growth will potentially translate into a $40 billion industry for virtual reality software and hardware combined by the year 2020. Coupling VR with architecture and design allows designers and their clients to experience a space and to visualize design concepts before the building or prototyping process begins. Simulated environments are rendered with actual finish products, which provides aesthetic and functional decisions early on in the design process, saving time and money while increasing creative solutions. Pulse Design Group started pursuing virtual technology and the application to the architectural industry in early 2013. Vierthaler, who played a critical role in the research, development and implementation of Pulse Design Group’s virtual reality efforts, saw the need for a program to educate design students on the technology and the industry application. The program launches this fall with courses exploring immersive virtual technology for environmental visualizations, product experience design and applications yet to be defined. 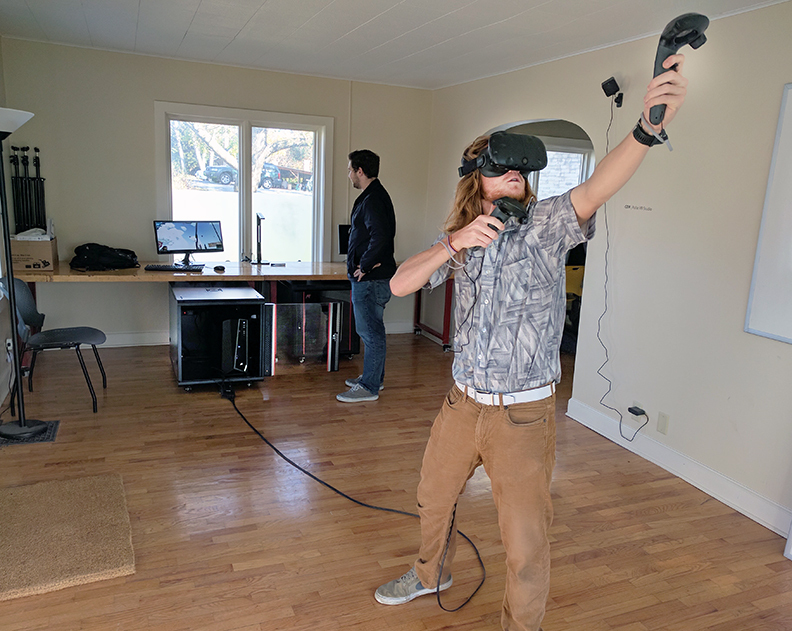 The VR program will be housed in the newly renovated CyPhyLab prototyping studio, located in the historic Chamney House. The 105-year-old dairy farmhouse is one of three buildings that comprise the Center for Design Research complex. Offering a unique mix of turn-of-the-century and modern architecture, the CDR complex includes the farmhouse, a large stone barn and a LEED Platinum building designed and built by KU Studio 804 students. Sponsorship for the CDR CyPhyLab is made possible by the support of: Pulse Design Group, KU Information Technology, Intel, University of Kansas Hospital, Ascensia Diabetes Care, Sprint and more.